I received 50 000 euros from Darwinia. 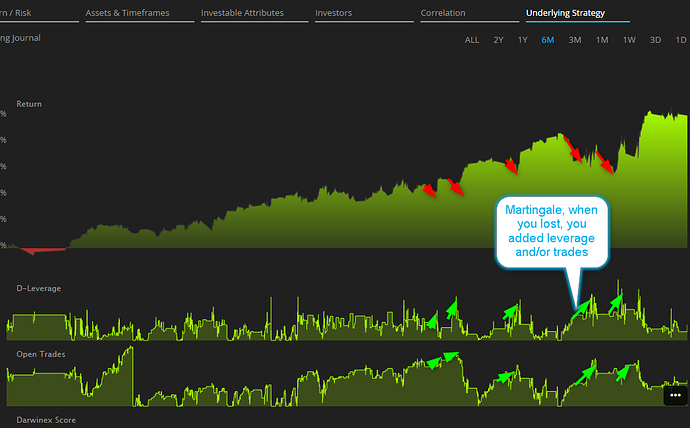 Darwinia gives aum to the martingale but never will pay ! lol Good pub ! Explain. What are you speaking about? A martingale strategy will ALWAYS have the same destiny ! You can deceive, mislead the DarwinIA (IA are faked ? Darwinex have not the capacity to note all the strategies, grid with high d-score ?) but you can NOT mislead traders/investors wich look your Asset & Timeframe reports. 1) Collective 2. Total AUM (on 1 Oct 2018) for my systems in C2 = 2 901 000 USD. The number of subscribers is 137. 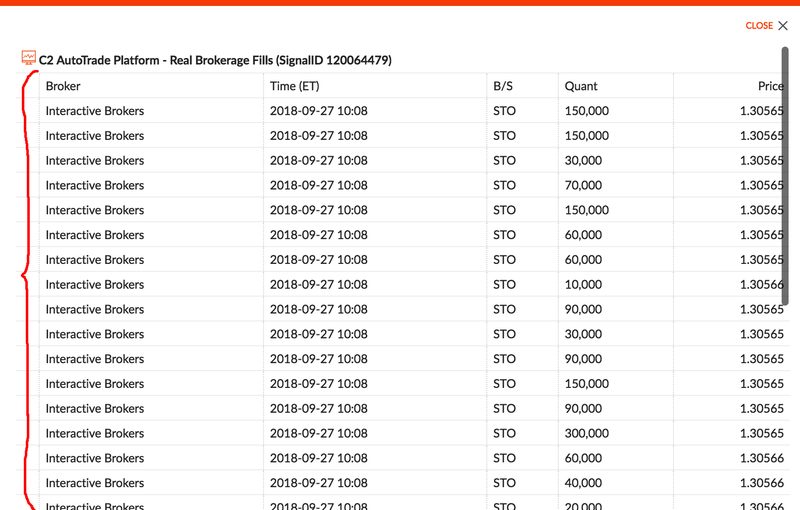 The "PFSignal com" system (forex - GBPUSD, EURUSD, AUDUSD, USDJPY, USDCAD, USDCHF). The profit for 2018 is + 111.1%, the maximum drawdown is 22.3%. The subscription price is 49 USD per month. The system "Myfxmap com" (currency futures CME Group - @AD, @CD, @EU, @BP, @ JY, @SF). The profit for 2018 is + 40.2%, the maximum drawdown is 15.1%. The subscription price is 129 USD per month. 2) Darwinex. Write-off of payment of interest from profit on a quarterly basis in the amount of 20%. Payment is made only on the fact of the received profit for the period, any additional charges from you any more are not made, only a payment for success (success fee). The investment amount is from 200 USD to 25 000 USD. 3) Mql5. The profit for 2018 is + 166.55%, the maximum drawdown is 23.2%. The cost of subscribing to the system is 49 USD per month. 4) Managed Accounts Program (MAP) | MAM accounts. The Managed Accounts Program provides you with an individual approach that can help you adapt our trading system to meet your investment needs. For trading accounts from 250 000 USD or more, individual conditions for risk management, as well as payment of compensation from the profit of your choice - quarterly or by the end of the calendar year. 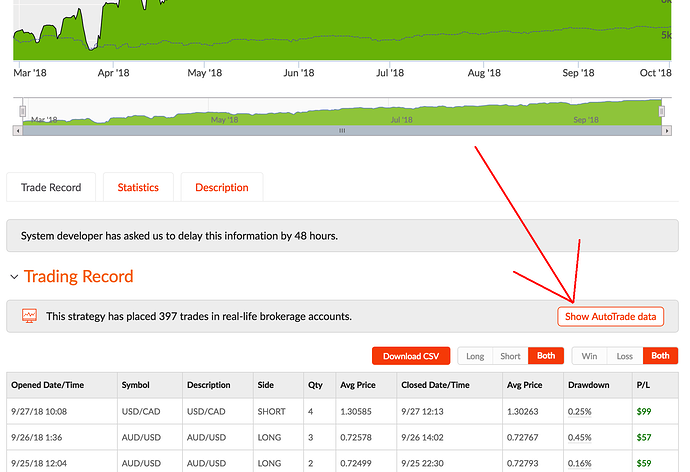 Trading accounts are connected with the following brokers: Swissquote Bank SA (Switzerland), MT Cook, Interactive Brokers. The minimum investment amount is from 25 000 USD. The fee for success (success fee) is from 25 to 15%. Too frequent deals may negatively impact copying results ! Reliability is bad for mql5 ! But darwinex said Good (ESTIMATED) capacity and positive (ESTIMATED) divergence: Here, we can see, the REAL ! Good luck for your MARTINGALE strategy. For us mere mortals here, how do you derive that HQL is employing a martingale strategy if capacity and divergence are positive? Not interested in a ding dong, but a serious answer please? Some of us (or maybe it is just me) are new to this type of investing. @MyfxmapCom - what are your sentiments on this? Be intrigued to hear your side on those charts. Thank you for analyzing my trade and attention to my trade. You are doing a good PR for me. Thank you. Have a nice day. Where can I verify these data? He has 33 users for PFsignal and 12 in Myfxmap strategies. Incorrect. It is experienced by the entire forum, since this thread shoots to the top whenever you post. You have subscribers because your funny money track record has made it to the top of searches. Not because of your constant advertising. Please stop posting results of your strategy on the C2 Forums. Your results are available on the site to anyone who looks for them. Feel free to buy a Featured Strategy listing for additional exposure. This is why I left Collective2. I mean, there isn't any indicator or analysis of the trades being done. All you can see are the trades and try to get what's going on, and you need to be a trader for that. That's why I love darwinex, there are lots of indicators, it could be better of course, but it helps a lot to discover good traders/strategies. HQL is a promising system, the 6M chart is very good. The trackrecord of C2 seems to have a customized inception, but in that way the lenght is just 8 months. I have very serious doubts that millions of AUM would follow 8 months of trackrecord. That's why I love darwinex, there are lots of indicators, it could be better of course, but it helps a lot to discover good traders/strategies. Exact, other sites give you hundreds of numbers but nothing has the efficiency of Rs , Mc or the trading journal.